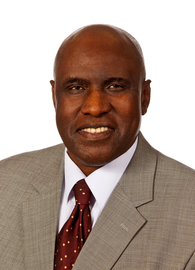 In 1993, Dr. Kirumira was responsible for the invention of the world’s first rapid-acting HIV diagnostic test. In 1999, Dr. Abdullah Kirumira founded BioMedica Diagnostics in Windsor, NS, who’s success has been built on their ability to deliver superior service, quality and results to their partners. Dr. Kirumira’s entrepreneurial spirit and willingness to give back has resulted in impressive levels of support in underdeveloped regions lacking the ability diagnose infectious diseases. “My vision is to establish affordable laboratory medicine in Third World countries that do not have access to diagnostic equipment because it is too expensive, or they don’t have the appropriate technology at their disposal.” (Source). Dr. Kirumira’s achievements have been well recognized and appreciated by a variety of local and international organizations. Join us at BioPort to hear from one of the key scientist-entrepreneurs in Nova Scotia’s life sciences industry.